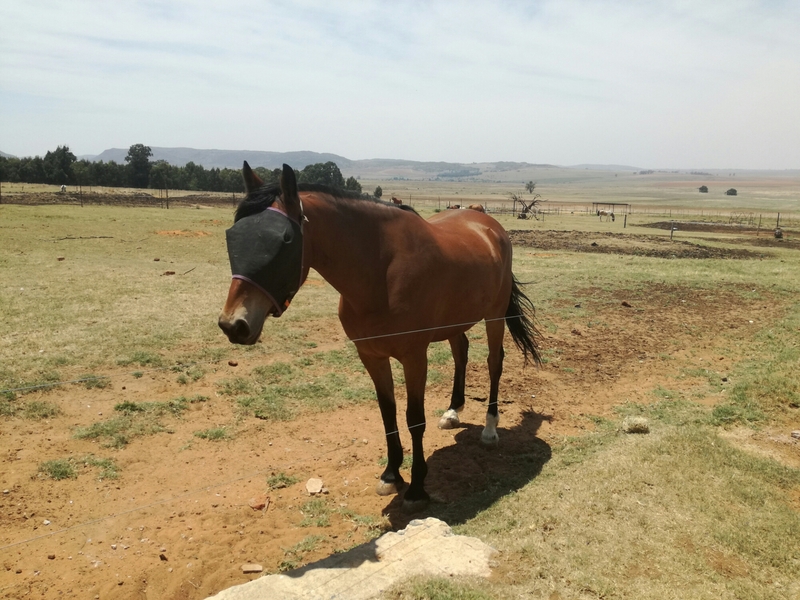 Despite the fact that we’re struggling to get to lessons and the last time we went down centreline in competition was in March, Thunderbirdy has been making awesome progress. Looking back on blog posts from November last year, I’m a little awed at what God has done through Coach J and Thunder. Last year this time we were tentatively testing the Novice waters. Now, we’re schooling the early EM tests at home, and it feels… well, I don’t want to say easy. But it feels good. And it comes way more naturally than it ever did with Arwen. Not to deprecate any of her achievements – she took me to Elementary based solely on articles I read on the Internet, for goodness’ sake. But beautiful Thunder has had guidance, and it really shows. He is so powerful, so elastic, so much better in the connection than I could ever have hoped for before. Basically if we struggle with anything then I’m making a mistake somewhere. There are no real roadblocks right now; we just keep building, brick by brick, getting stronger and more confirmed in all of his work. Even the changes aren’t stopping us. 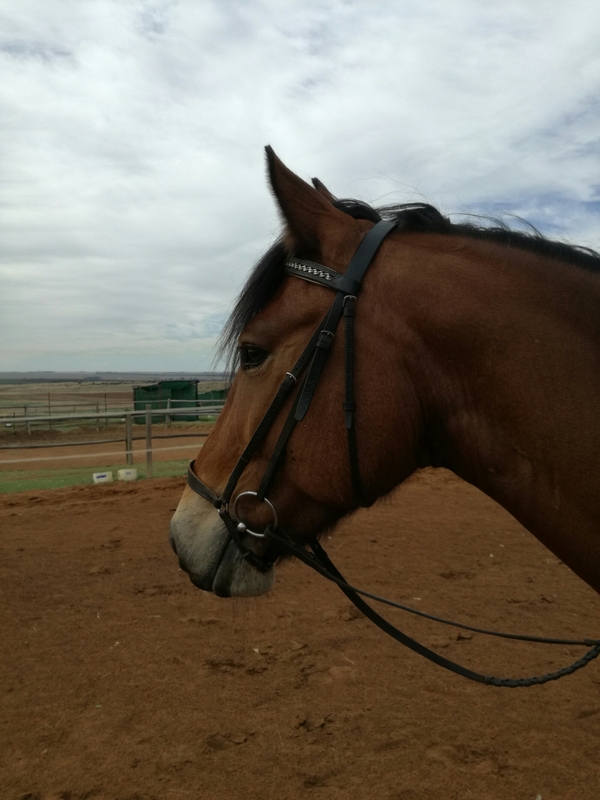 Even the canter-walk transitions have suddenly clicked when we revamped his canter and I learned to ride them in shoulder-fore. Those were major roadblocks for Arwen and I, and with them out of the way, I really kinda feel like there’s nothing stopping us from Medium, from Advanced, maybe even PSG. Who knows? Right now he is young and sound and just amazing with everything, and I’m not going to believe in any limits until we reach them. Sunday will be our first show in many months, thanks to incredible provision that the Lord has been blessing us with via my ghostwriting. It’s a local training show with a judge I respect, so I went ahead and signed up for Elementary 1 and 2. 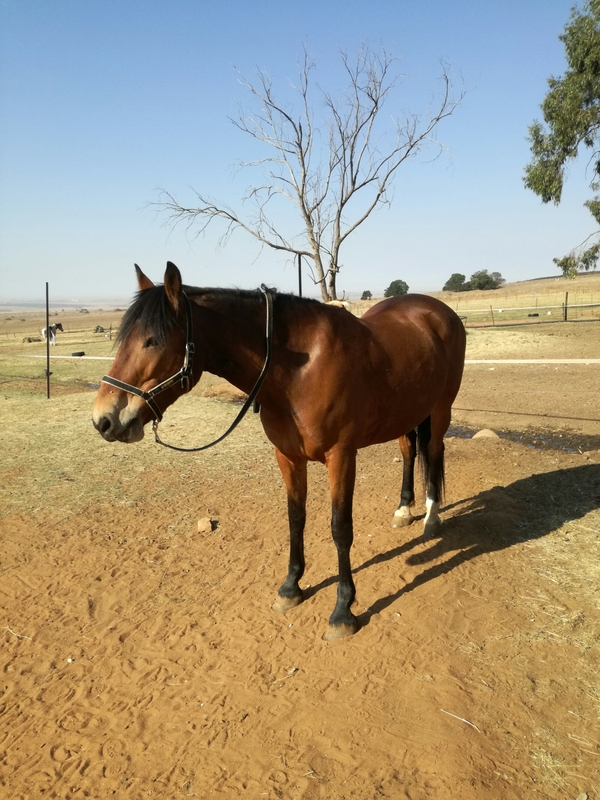 The tests are not very difficult but it will be his first time having to do canter-walk and halt immobility in the show arena, as well as only his second time ever doing lateral work at a show. I’m not expecting anything like what I get at home. At home on a good day I’m sure we can get 70% or above for both of those tests, but we haven’t shown in a while so I’m gonna be a mess and he’s gonna be a mess so we’re just going to go in and get a feel for those tests. Right now all my main goals when it comes to showing are about what’s going on inside my messed up little head. My mentality is the single greatest obstacle standing in our way, and if we can overcome that, then there’s really nothing going to stop us. So today I’m excited to show. I’m not nervous because it doesn’t matter if it all goes horribly wrong. Dressage is not about marks or movements. Dressage is about celebrating the connection that exists so spectacularly between horse and person, no matter how messy that celebration can look. 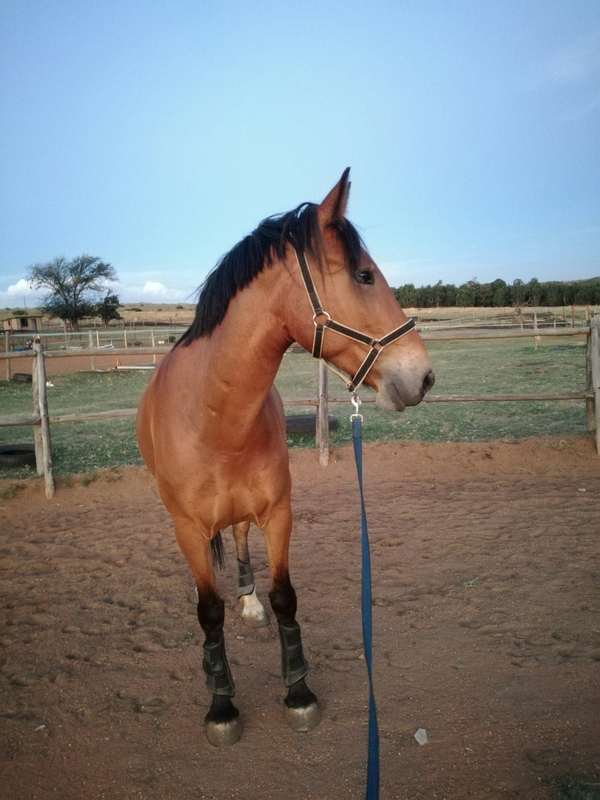 I’m inordinately blessed just to swing my leg over my gorgeous horse every day. And no amount of nerves is going to ruin my joy in that. I can’t believe the first quarter of 2018 is already behind us. In one way it feels like mere days ago when we were holding December’s pony camp; in another, it feels like I have aged half a lifetime in the past three months. Either way, I’m slowly finding my equilibrium again, and we’ll start with some goal recaps to get us back on track. If I had not had my Wonderbird through all this, I would have officially lost my snot completely. So he has actually done well, if not quite chronologically, hence why we’ve started ticking off a bunch of goals that I had actually aimed for the end of the year. Improve all of our downward transitions. We have improved them all – we just haven’t fixed them yet. Improve our stretchy trot. I no longer lose any sleep over his stretchy trot. I can’t always get it early in a session, but I can get a really really good one once he’s ready to stretch. Improve both lengthenings. These are better, not quite medium yet, but fair enough for Novice lengthenings. Improve the halts, specifically staying connected in halt and immobility. We are working our butts off on these. He is square and connected in them now, but still kind of wiggly. Improve rein back. Still working on this. 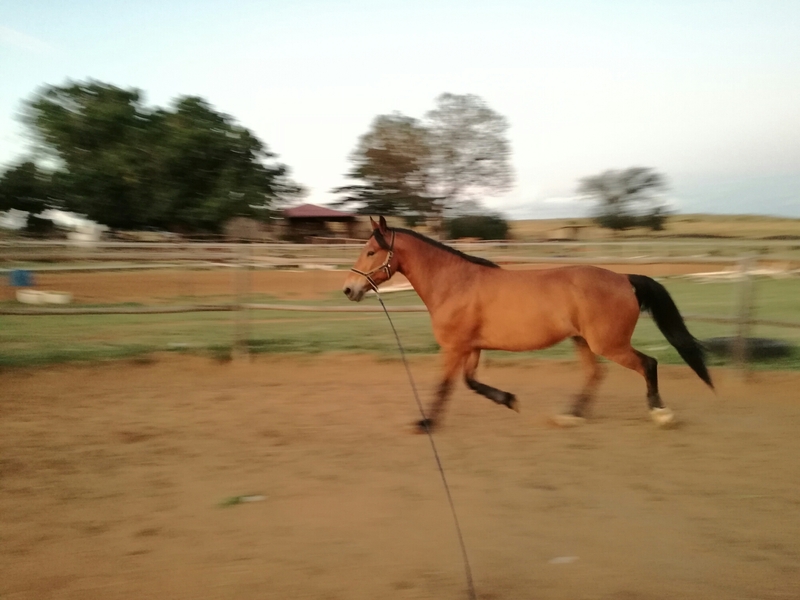 He can do really good rein back on occasion, but it’s inconsistent, and sometimes when the rein back gets good then his halts go downhill. Keep working on quiet little hacks. – I haven’t been in the brain space for hacking him. Take at least one showing lesson or clinic. – Logistics have not yet allowed. Get over my phobia of all showing judges. Show at least once with one of the horrible ones and learn to deal. – Nailed it. 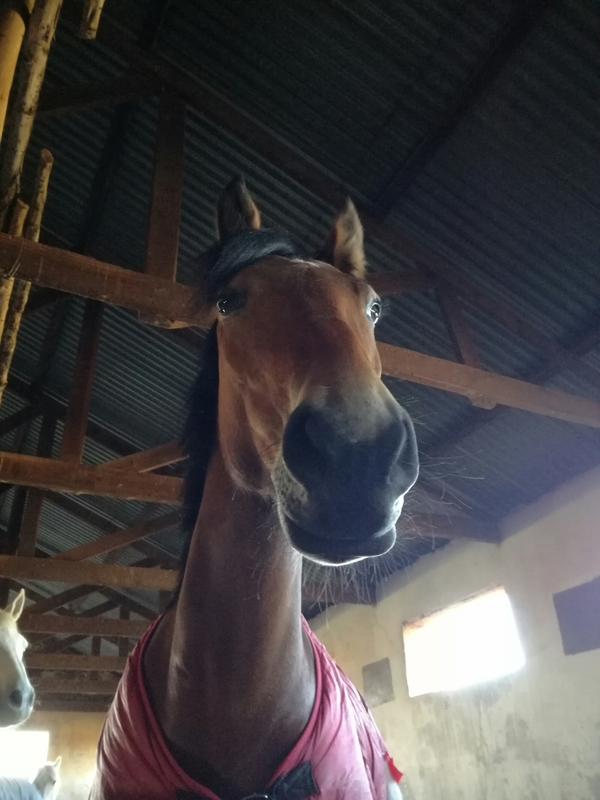 Showed under my least favourite judge and she bucked the entire time and every time he yelled something condescending I may or may not have whispered something rebellious under my breath. (But not profane. Promise). Improve her rein-back and lengthenings. 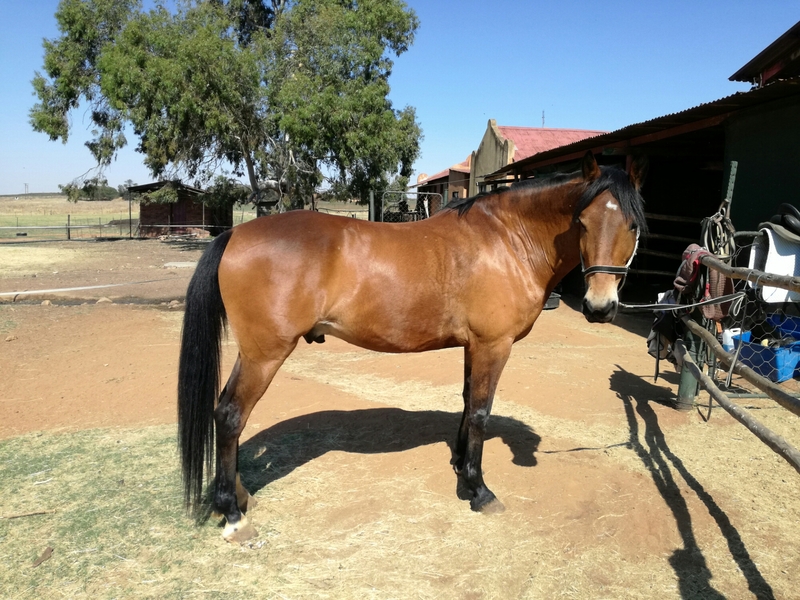 – She has a super rein back now and her lengthenings are about as good as they will get. Get points to go out of Novice. – She’s an open show pony and in the tickets sometimes, too. 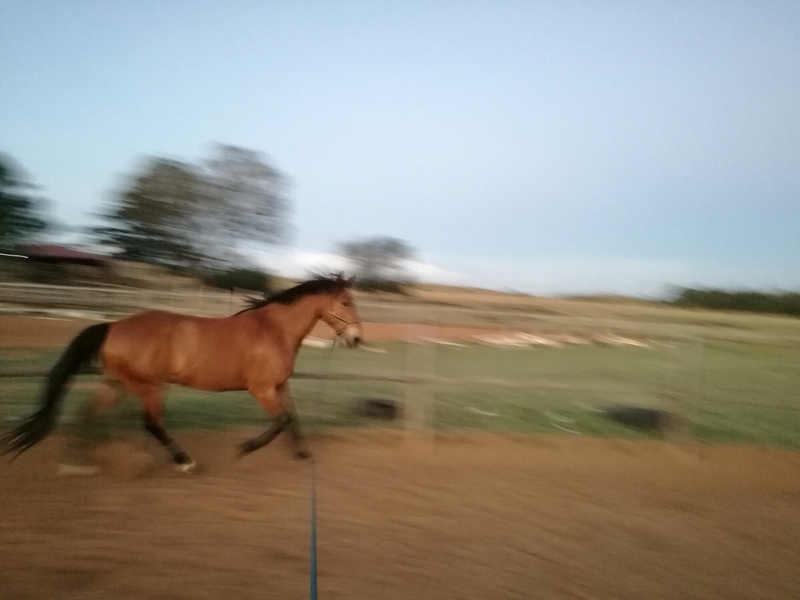 I am about done showing Arwen for the next few months, but I’d love to do compleat horse at the Derby in September/October, so that’s the next goal we’ll be working towards. move to the dressage arena. Faithy is very much on track, but still quite immature in some areas. 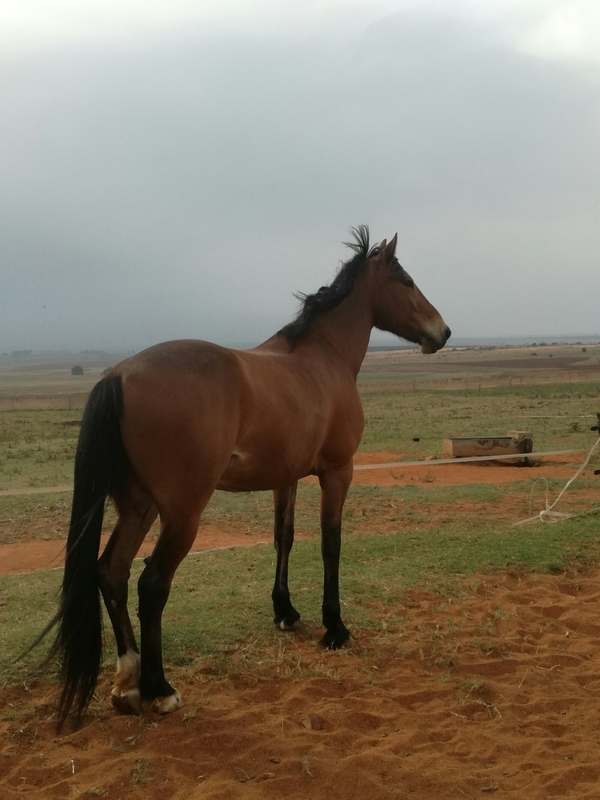 Once we break through the canter problem, there will be no stopping her. I am not pushing her hard right now because she’s babyish for her age and there is plenty of time for her to grow up. 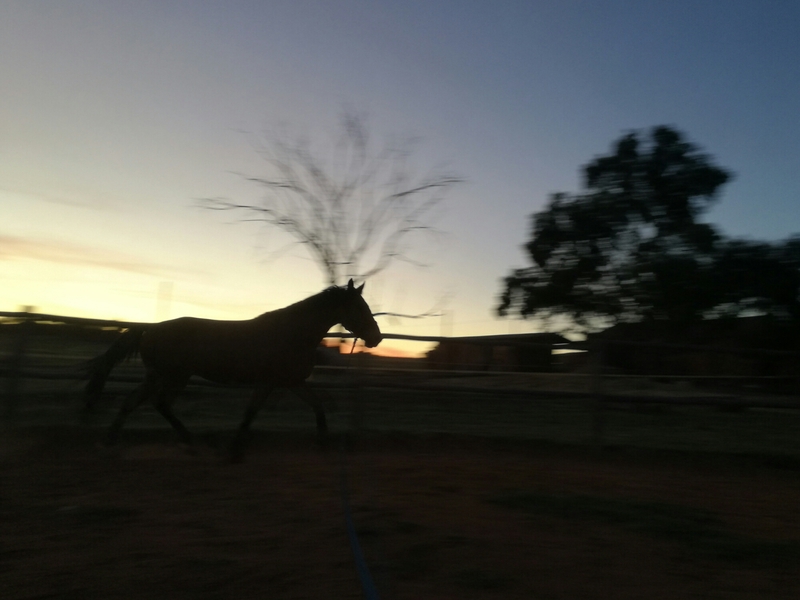 Citizenship is all we’re really doing right now, and then playing with canter to slowly build her confidence. Showjump 90cm at available training shows. – We skipped this and went straight to SANESA. Compete at equitation 90cm at SANESA. Score 70% (that’s a 28) or more, if not at the first qualifier, then at least at the last two. 70% is the pass mark for Module 5. – We did the first two qualifiers, scoring 28 and 29. 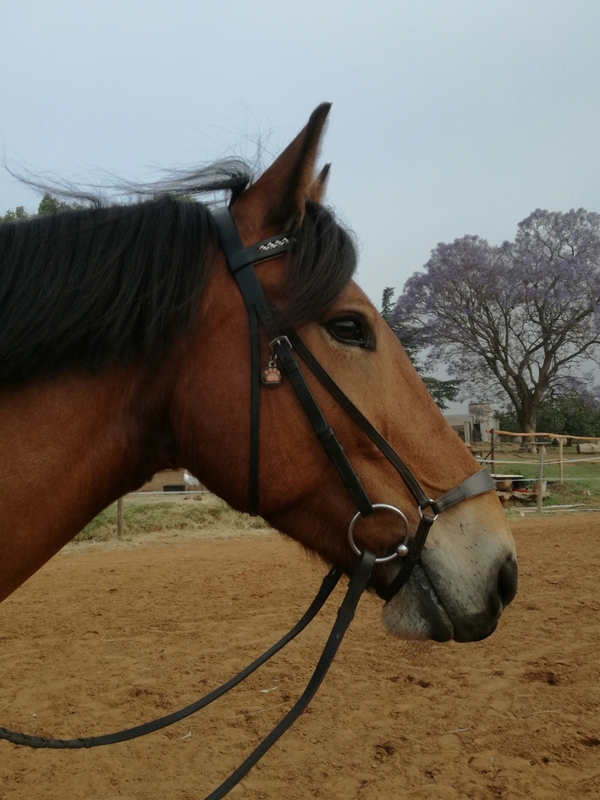 Introduce all the flatwork required at Module 5: leg-yield, turn on the forehand, turn on the haunches, a little shoulder-in, a little travers. (The exam specifies only “lateral work” but I don’t expect to have to do half-pass). – Not quite. We have turn on the forehand and a bit of leg-yield, but it’s not quite polished yet. This poor equid tends to be the one that gets neglected just because he’s such a low maintenance guy, but he doesn’t mind. He has carrots. He doesn’t mind anything as long as he has carrots. In other news, the darling is away for about 100000000000000000 years (i. e. eight weeks) for work, which is sad but necessary. We had boot camp, which was awesome. We had our third little show, which was quiet but also pretty awesome. God is good.